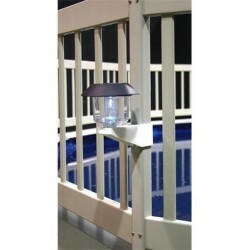 Shop our pool lighting including under water wall lights as well as floating solar lights. Free Shipping on all orders! 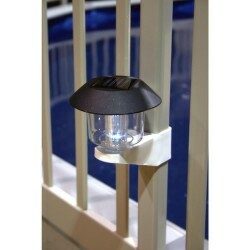 Powered by the sun, these high quality solar lights enhance the pool and your backyard. 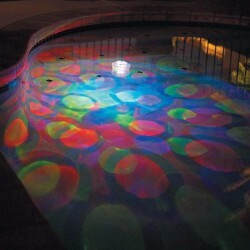 The Underwater Light Show Pool Light bathes your pool in a rainbow of lighting effects. The best-selling underwater light show is now solar powered. The Solar Underwater Light Show™ converts any pool into a brilliant light display that is great for evening parties or for creating a peaceful environment while relaxing poolside. 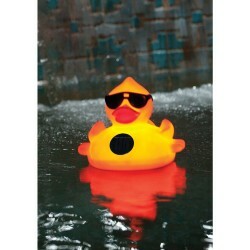 Featuring a solar powered, rechargeable battery, this solar duck happily decorates your pool as it chlorinates. 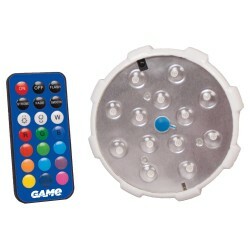 The Remote Control LED Color Changing Pool Wall Light is the most versatile and easy-to-use LED pool wall light available in the marketplace today. 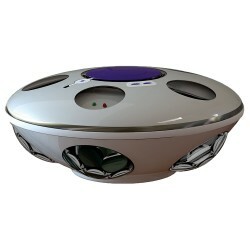 Completely powered by the force of water flowing into your pool with no wires or electrical outlets needed. 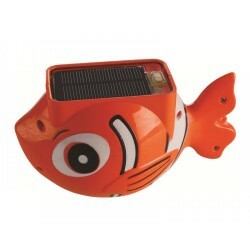 Enjoy night time swims in style all season long with the Sun Fish solar floating pool light. New design for 2013! All of the power in a smaller package! 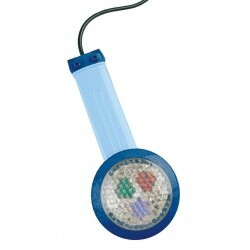 This handy rechargeable light will illuminate your pool with up to 8 hours of glowing light. Exquisite color-changing fountain and light show brings your pool to life at night to create the perfect ambiance for backyard entertaining. 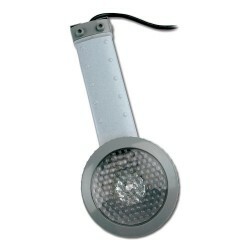 Our 50 Watt Nitelighter Ultra pool light provides just the right amount of light after the sun goes down. Nitelighter can add a romantic pallet of color to your above ground pool with its brilliant halogen color changing lights. 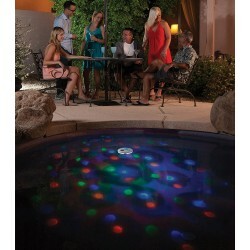 Add instant light and color to your above ground pool at a fraction of the cost of similar lights. 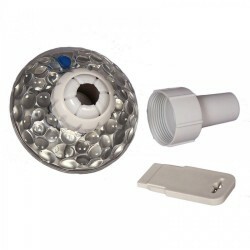 Simply install into your pool's existing return fitting in less than 10 minutes. 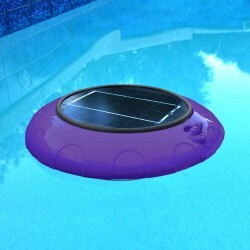 The new and improved Evolution floating solar pool light has finally arrived. 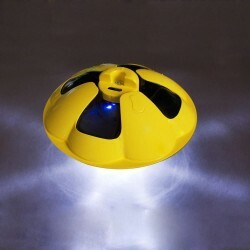 A heavy duty solar powered light designed and engineered to stand the test of time.